The word lunatic stems from the belief that the cycles of the moon caused intermittent behavioural changes in people, namely in their sanity. Luna being latin for moon, the suffix ‘tic’ was added to create a word that characterised people whose behaviour was related to the lunar cycles - just as fantastic is related to fantasy, and economic is related to the economy, lunatic is related to luna. A number of human and animal studies of physiology indicate that we might all be affected by the lunar cycle, meaning we are all actually lunatics. 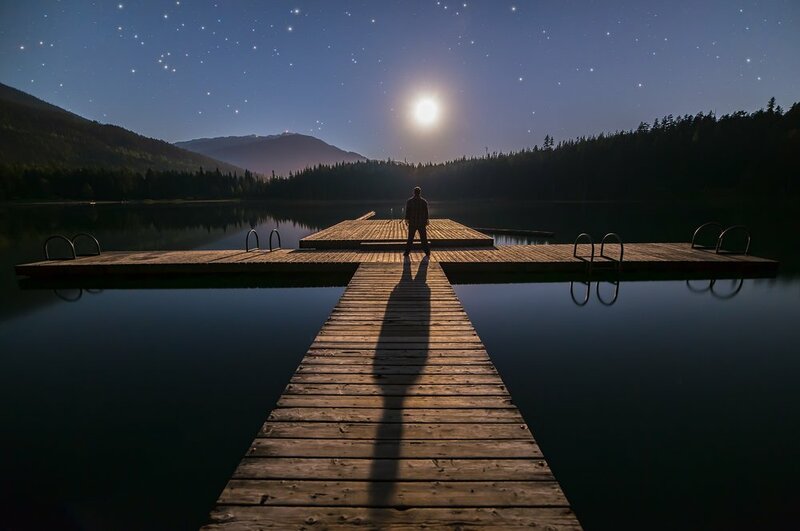 Although we know quite a lot about the seasonal and circadian rhythms which influence human behaviour and physiology, little is known about how the lunar cycle influences these same dimensions. This is despite a range of interesting findings in animals. In insects, studies have revealed that the lunar cycle plays a role in hormonal changes during early development. In fish, the lunar cycle influences reproduction and has been related back to activity in specific regions of the brain. In birds, the usual fluctuations of melatonin and corticosterone are undetectable during full-moon days. The lunar cycle has also been documented to affect the taste sensitivity and the ultrastructure of hormone-secreting glands in laboratory rats. The magnitude of the immune response in mice has also been shown to vary with the lunar cycle. So, there seems to be a significant relationship between lunar cycles and animal behaviour in general - but what about sleep specifically? 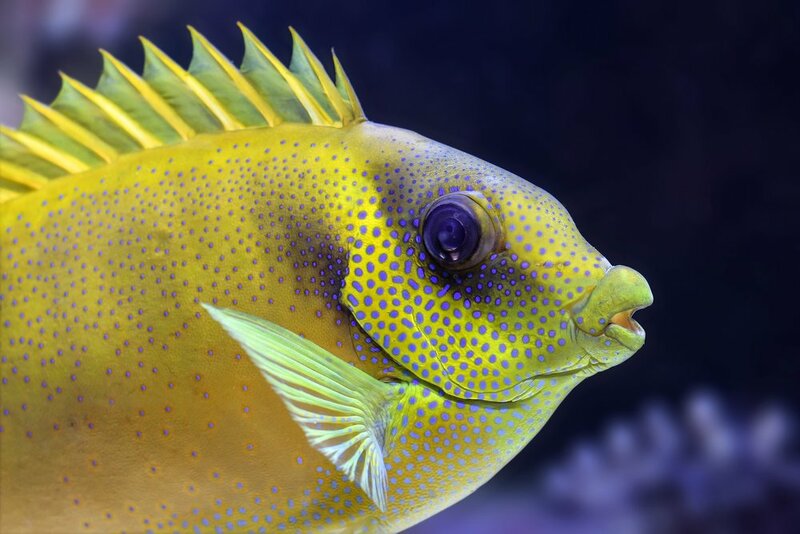 Genomic studies at the molecular level of the goldlined spinefoot fish demonstrates how deeply the lunar cycle may be implicated in the sleep-related physiology and behaviour of animals. It is now common knowledge that melatonin is a compound secreted by vertebrae, associated with the onset of sleep. Molecular analysis of the goldlined spinefoot’s DNA throughout several lunar cycles revealed that the amount of molecular products (MT1 and Mel1c receptors) specifically related to the production of melatonin increased during the new moon phase and decreased during the full moon phase. These changes were reflected by fluctuations of melatonin levels in the blood. All good fisherman track the lunar cycle not just because of the tides, but because they know that fish are more active during a full moon. The finding that there was less melatonin (a sleep-inducing compound) produced during full moon phases fits well with this established behavioural observation - as less melatonin secretion means less chemicals in the body telling it to go to sleep. These results provide compelling evidence that extends the link between sleep and lunar cycles beyond anecdotal recount into that of scientific reason. Given the similarities humans share with all vertebrae at a fundamentally genomic level, it is likely that we would find similar patters of lunar-related melatonin expression in humans. A 2000 Swedish - one of the only scientific efforts to investigate the relationships between sleep and lunar cycles in humans - supports this hypothesis. The Swiss Federal Institute of Technology and the Switzerland Centre for Sleep Medicine partnered to record and analyse the sleeping behaviour of 33 participants, monitored in laboratory setting for a period of 3 years. The results recorded for three key variables are worth mentioning: melatonin levels, brain electrochemistry and sleep structure. Analysis of the sleep structure recorded over three years of strict monitoring showed and increase in sleep disruption experienced by participants during the full moon lunar phase. Moreover, melatonin levels recorded in participants during the evenings leading up to the full moon were significantly lower compared to normal levels. Additionally, electroencephalogram analysis showed that participants experienced 30% less slow-wave sleep time during the full moon period; slow-wave sleep is the deepest level of sleep and is related to recovery and reinvigoration. It follows that upon waking, participants reported feeling less energised and well-rested during the full moon phase. Importantly, no participants had any idea that this study was conducted with the aim of investigating lunar influences on sleep - in fact, that wasn't even the original purpose of the study! This is largely positive for the reliability of results, as it reduces the likelihood that the experiment was strategically set up to favour the recording of significant findings. What is even more interesting, and perplexing, is that fact that all participants slept in a highly controlled environment, during which they were not actually exposed to moon-light. This indicates that it is not the greater intensity of moon-light accompanying the full moon which could be influencing our sleeping behaviours. It was suggested that the moon could influence us gravitationally, the same way as it does the tides - but this has been rejected on account of the fact that our bodies, unlike the oceans, are too small to be affected. The exact mechanism of the moon's influence on humans and animals awaits further exploration. Current scientific opinion is pointing towards evolutionary explanations related to the environmental synchronisation of our internal biological clock over millennia - but a robust understanding of this kind of biorhythm remains largely undeveloped.